Just like the dealer, we offer full service, factory-recommended maintenance based on manufacturers’ specifications and mileage intervals. We just do it for a lot less! Every vehicle's needs are different. Your driving routine and habits, plus the age, make and model all affect the type of maintenance your car requires. 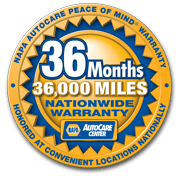 Our ASE-Certified Technicians will check out every inch of your vehicle, preserving its reliability and giving you peace of mind. When you bring your vehicle to Auto Select, we'll perform a maintenance inspection at no charge. We'll inspect the vehicle and review your manufacturer's recommended maintenance schedule, and then we can tell you precisly which services you're due for.